This year I embarked on an adventure: implementing project-based learning (PBL) during a middle school chemistry unit. It was intimidating at first, but my experience convinced me that PBL can be successfully implemented in nearly any classroom. My eighth grade class designed a chemistry museum—a series of displays that demonstrated what they had learned. They created a human timeline, dressing up as figures from the history of chemistry; built models of atoms and created demonstrations of reactions; and even produced a periodic table made entirely of cupcakes. On the day of the museum, they acted as tour guides for other classes, taking their peers through the displays and explaining the chemistry. My students designed every inch of the museum themselves. I built tasks that took them through what they needed to know, but they chose what to display. I answered questions and moderated a few group arguments, and then got out of their way. The entire project took us around two months, and I didn’t stand in front of the room lecturing for a single day of that. And my students came to understand chemistry at a level that I had never seen from previous classes because they found all of the answers to their questions on their own. Yes, PBL can be daunting. 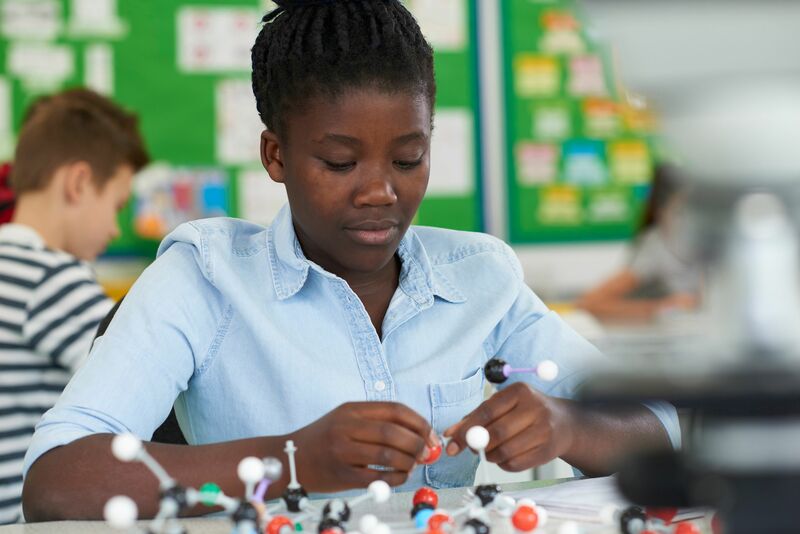 But even if you’re not ready to fully take the plunge into PBL, there are a few easy ways to try out some of the ideas without completely changing the way you teach. First, integrate student choice into your classroom. With teacher support, students can learn to make good choices for themselves. I allowed students to make small choices as well as big ones. For example, when they needed to practice new types of problems, I provided three or four practice options that would help them improve their skills and allowed them to pick which one they wished to complete—a small, low-risk choice for me. And I began to see a huge increase in homework completion and critical thinking. I also allowed them to make bigger choices. They decided which stations they would have in their museum based on the standards they needed to cover—and they came up with ideas that were better than the ones I would have provided. Plus, they learned how to make decisions together as a group. By the end of the unit, they were leading their own class discussions, voting on what they wanted to do, and assigning roles to each other. They got all the tasks done, and they took ownership of the tasks because they were the ones who wanted to do them. There wasn’t any whining or blaming the teacher when they fell short—they worked through their problems because it was, really and truly, their project. Second, don’t focus on grades. The reason the chemistry museum worked was because my students were motivated by a meaningful project. The grades followed naturally—the more they cared about the project, the better their grades got. In the museum, they were sharing their learning with the entire school. They made sure they knew what they were doing so that they could tell other students about chemistry. If you aren’t ready to pull the entire school into your project, there are lots of ways to make a project meaningful. Invite a guest to watch your students share their work, or have them create a public product such as a website or display for your school. Give them a reason to complete the work besides getting a good grade. Finally, give your students space to fail safely. The day our museum opened was a stressful one for us. To start, my students forgot the eggs they needed for their periodic table cupcakes. I could have driven to the store and solved the problem for them, but I was dedicated to the idea that it was their museum, so I stepped back and let them figure it out. They realized that another teacher bakes in her class often and were able to borrow a few eggs. When they hit a wall, I gave suggestions and gently assisted them with ideas, but I didn’t decide for them. For example, they wanted to do some demonstration experiments for museum visitors. Two of the experiments they planned didn’t work correctly. One was supposed to make an ice-like product and the other was a simple baking soda volcano. They started panicking, so I asked them what had gone wrong and what they would do to fix the experiments—and what backup plan would work if they couldn’t fix them. For the first experiment, they realized that they needed more of one ingredient and were able to get it working. The baking soda volcano never did work—they think it was because the baking soda was out of date—so they replaced it with a similar one that they had ingredients for. They learned how to solve a problem without a grown-up stepping in and fixing it for them, and isn’t that what school is all about? Project-based learning and student choice are scary, but the results make trying these strategies worthwhile. Some degree of student choice, meaningful stakes, and opportunities to fail safely will create more student buy-in, as well as an educational environment in which students can excel.